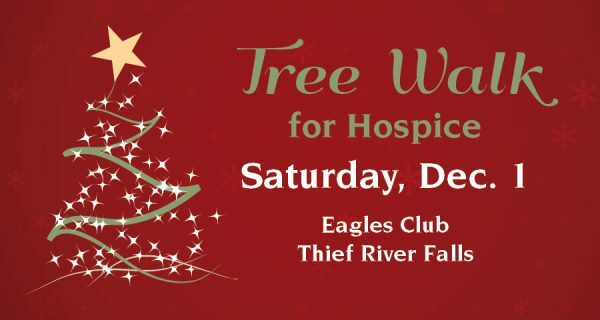 The fourth annual Tree Walk for Hospice will be held Saturday, Dec. 1, from 10 a.m.-3 p.m. at Eagles Club #2368, located at 305 Red Lake Boulevard in Thief River Falls, Minn.
All events are free-will donation, except for a silent auction and bake sale. 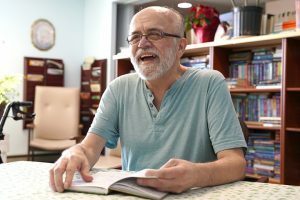 Net proceeds benefit Hospice of the Red River Valley. Ornaments can be purchased at the event to decorate the Hospice Memorial Tree. Organizations also will have decorated trees. Visitors can vote for their favorite tree by placing money in the buckets at each tree. A plaque is awarded to the winning organization. 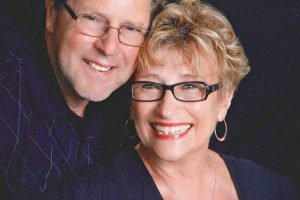 A silent auction will be held for all of the trees. Winners can have the tree shrink wrapped and get help with delivery, if needed. If you are an organization interested in decorating a tree, contact Laurie Harger at 218-686-3696 by Nov. 30 to reserve a spot. Pre-lit artificial trees will be provided to decorate as part of the $50 registration. Tree set-up and decorating will be Nov. 26-Dec. 1 from 9 a.m.-6 p.m.